Facebook Password Sniper - Hack or Split Any Secure Account (Updated Variation). As Facebook ended up being a giant, that is active in some other sectors, home entertainment, service and societal. As it's brought wellness on to their faces, so as you can quickly see Facebook has been doing so much for the folks around the world. People are economical jerseys in a position to share the joy and their griefs with some other people in their group. So forgot the Facebook password of your profile? Now worries we have a simple choice for you. As this program will provide for you will not need having some knowledge in shows or coding. 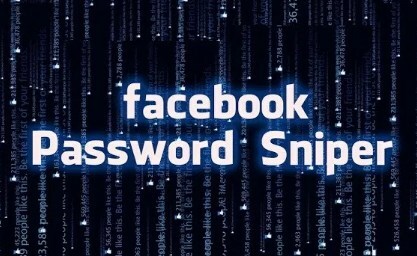 We have brought a huge surprise for everybody out there through facebook password sniper. We understand a lot of individuals were awaiting a sensational tool which can split any facebook account quickly. Now you have the capability to hack any facebook account and make them the understanding of troubling you. Our machine plays a huge part in hacking any account within a couple of minutes. Facebook has been the leading social networks network for over the years now, and individuals are utilizing it practically 24/7. It has taken control of lots of vital parts of life, and this is troubling for everyone. You can quickly hack anybody's FB id who you believe is troubling you. The issue with the majority of individuals is that they begin sending out demands and poke you with no function. So rather getting disrupted of thinking of deactivating your account, you can hack somebodies facebook account quickly. Now you do not have to put any facebook password sniper confirmation code as out tool is 100% working with no code or following limitation. So we are attempting our finest to bring you the very best Facebook account sniper tool. There are lots of tools online which states they hack any facebook account, however, in truth, none works well. Our machine carries out the very best in all the Facebook sniper tools out there. So you can hack facebook account quickly without letting them understand since our device works privately. Hacking any Facebook account isn't complicated treatment as lots of software application and tools are offered that are providing all advanced tools. So you understand that these tools allow you to hack any Facebook account quickly efficiently. A range of consumers can utilize this software application, as well as any non-technical man, can get benefit from our Facebook Password Hacker tool. So you do not have to have any technical abilities to hack any facebook account. You that free iPhone 6 gift is waiting for you. We have made this tool so simple that even any rookie can quickly utilize it. The interface is so ideal that it brings in individuals to use it. We are handing out the very best tool at the minute for everybody. The best ways to Hack a Facebook Account. Facebook Password Hacker is such a remarkable tool which is created to hack any Facebook account or Facebook password. We have included numerous quality functions into our tool which are making an effect. You can utilize this free tool to hack any facebook profile within a couple of minutes quickly. This tool is assisting in letting individuals understand that ways to hack facebook account. Facebook password sniper evaluation is not any longer needed so it Match will not request code once again, as we have deciphered it hardly. This program is working completely that people are now mad about it. Facebook Password Sniper is entirely responsive making it much better still and cellular friendly. This tool does not have any issue with security and is perfect to deal with. You value the majority of the outcomes and can be set up on any os. A lot of people are asking, so we have addressed for them that just set up and use this tool does facebook password sniper work. Facebook password cracker is an instrument that is ideal that it is going to make whatever more simple for you while hacking on any account SNIPER online. The compatibility on each device of this tool is best and insane while utilizing it that even you will not think. So something I might ensure is that you'll enjoy this facebook password hacker. Because it can not have any breakdown in spite of any security restriction, you will not see any crash report from this tool. Facebook sniper software application lacks any link or study clog, and it's likewise entirely free. Much more hack tools are readily available on your site. Facebook hack is now working fine, and many individuals have got needed outcomes. Utilize our all safe and secure servers to protect, implies it will never blacklist any of your recommendations or harm your system. We have included various proxies currently. You'll never get suspended by utilizing different proxies.Our tool is easy, and it will let you hack as much facebook ids as you wish to cut. Our tool is completely infection evidence, and it will not damage your computer system or mobile phone. Our Facebook password cracker tool merits, and it can keep you safe from any unsafe online hazards. Snipping treatment and the Facebook Password hacking might take a couple of minutes asserted by yourself casualty's password strength. Our Facebook password you will be offered lead to the handful of minutes by sniper online plus they are going to just enhance with time. Social network giant Facebook is regularly updating which is making it as the best social platform to be with most of the time and brand-new qualities. Facebook Password Sniper is for you to utilize considering that this might offer you results that are unlimited, the only software application which is provided here. As it is a life time usage variation Furthermore, you Will not be alerted about membership assessment, and you Will not have some re-subscription informing. Have wholesale jerseys China more totally free applications on the homepage. We have presented the very best functions in our tool and among them is the proxy service. Our tool keeps your identity concealed and keeps you safe from any danger. Our Facebook password sniper tool is so precise that it will not take more than 2 or 3 minutes to hack any id. Profile id in the field to hack it that account. Then click the necessary things from the option you want to recuperate i.e. e-mail or password. After option, then click revenues button to keep the treatment. On the very best side, the casualty's profile details will be seen by you if it fits the one you're searching for. When you struck the hack FB password button, it will begin processing and will bring you the account password. After some minutes after check back and you'll observe the best password in the console window has appeared.